Fancy a dream family holiday in a tropical paradise? How about a villa on stilts above a glittering lagoon or on the beach with a private pool? The Maldives has a raft of resorts which offer barefoot luxury with a family-friendly twist and some of the most innovative kids clubs in the business. 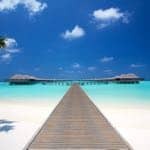 If you are looking for the ultimate paradise island family holiday but thought the Maldives were the sole territory of honeymooning couples, read on. The Maldives boasts world class family-friendly resorts from the ultimate in pampered luxury to action-packed adventure for all ages. Most offer spacious, villa-style accommodation too, ideal for families. Talk to our Maldives experts for the inside edge – to whet your appetite, here are some of our family favourites. 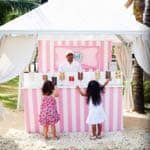 LUX* South Ari Atoll is family-friendly with a fun and quirky atmosphere. It works for all ages, from toddlers to teenagers (who love to hang out in their own Studio 17). You’ll find a kids spa, surf school, marine discovery centre and more at the Four Seasons Kuda Huraa – and we really like the design, which echoes a traditional Maldivian village, albeit with the levels of pampering you expect from Four Seasons. Our top pick for families with teenagers is the Six Senses Lammu – the choice of activities is incredible, Surf the world-class Ying-Yang break, try wake-boarding, scuba-diving, snorkelling and more. Constance Halaveli offers the best accommodation options for families – not least the amazing two-storey beach villa, with its own pool. Combining cool, contemporary and chic island escapism with family-friendly fun, NIYAMA Private Island works for all ages. 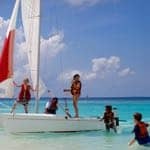 There is supervised care for children aged 12 months and over and some really fun activities – from snorkelling safaris to the kids’ own fashion show each week for example. Check out our family holidays in the Maldives. Find the best time to visit the Maldives.